I may be crazy, but up until last year the only kind of tiramisu that I thought existed was, well, tiramisu. However, when I spotted a red berry tiramisu on the menu of a restaurant in Lake Como, my world was forever changed! I mean, tiramisu with something other than chocolate and espresso?! Sayyyy what??! I'll never tire of traditional tiramisu, but it's fun to switch things up now and then. 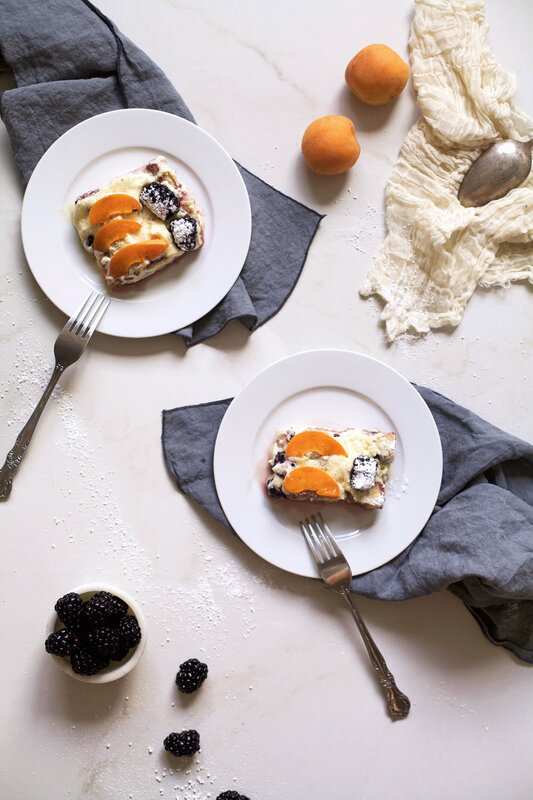 With plenty of berries and stone fruit still in season, I couldn't think of a better time to make this summer fruit tiramisu. Grab the recipe on Sugar & Cloth and make it for a date night in, or for dessert after dinner with friends. Whether you like the original tiramisu or not, I promise, this one is so good that you won't even miss the espresso and chocolate.